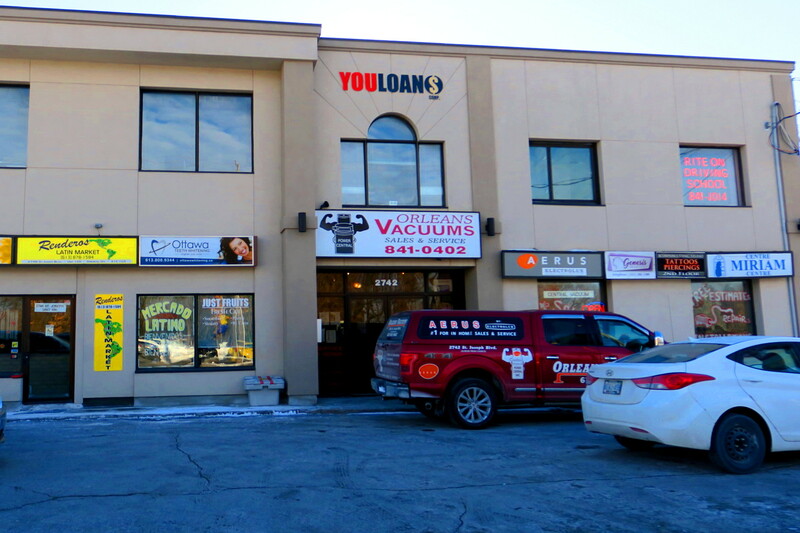 Strip Mall where Cornerstone's office is located. 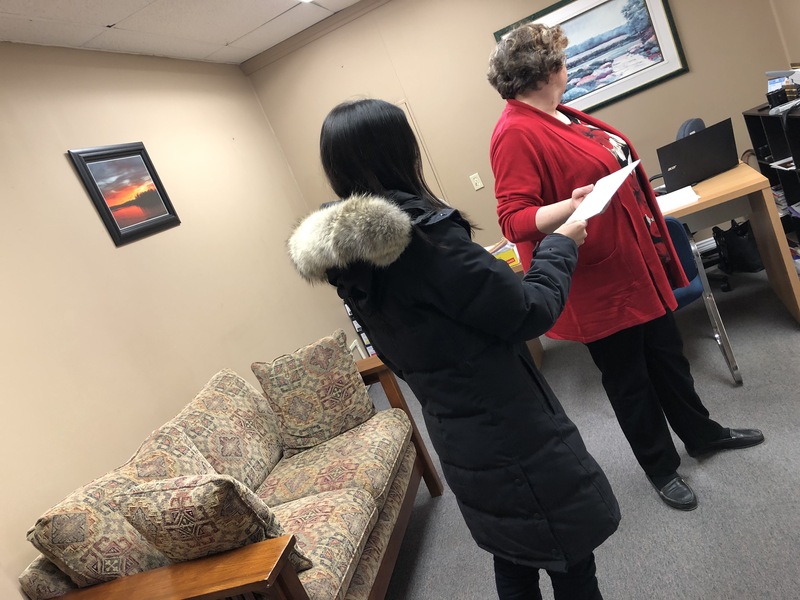 (Ecuador, Ottawa) Today, MiningWatch Canada staff delivered a letter to the nearly-nonexistent offices of Cornerstone Capital Resources Inc. (TSX-V: CGP) in a small strip mall in Orleans, Ontario. 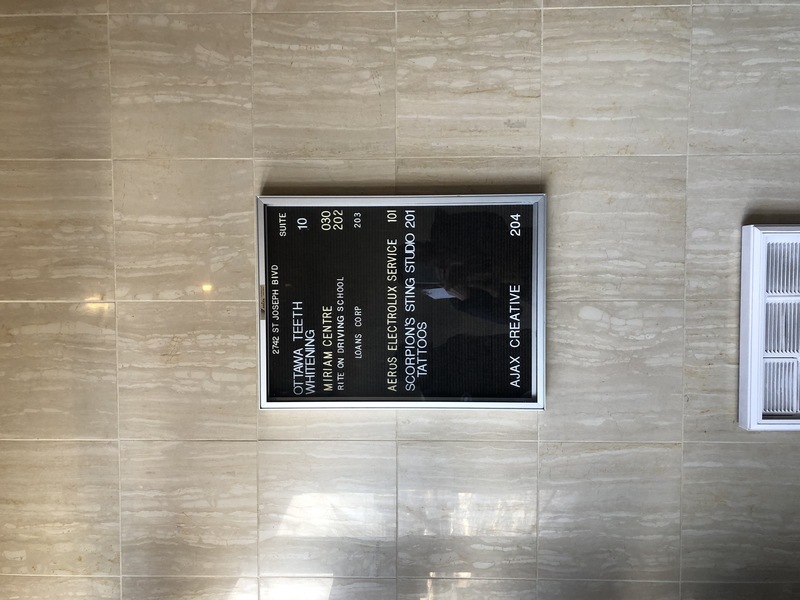 The company is not listed on the advertising sign out front, nor is it on the directory at the building’s entrance. 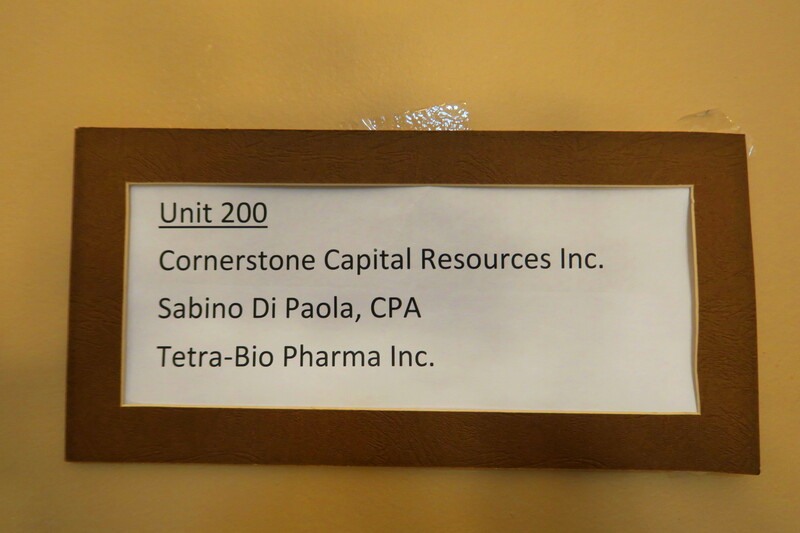 Only a small printed paper listed the company’s name, along with Tetra-Bio Pharma Inc. and Sabino Di Paola, CPA, the company’s Chief Financial Officer. Once inside, one of the company’s “consultants”, a woman who did not wish to be named or have her face shown, informed MiningWatch that there were no representatives of the company in the office. Another man who also identified himself as a “consultant” was quick and clear to note that “the CEO [Brooke MacDonald] is in Florida.” They both claimed to work for multiple companies, only one of which is Cornerstone. Curiously enough, although neither one admitted to being employed directly by the company, this was also Sabino di Paola’s office and the second “consultant” resembled that executive’s company-posted photographs, online. MiningWatch’s Latin America Coordinator, Kirsten Francescone, notified the woman, whom we believe to be an administrator, that the communities in the Cuellaje parish of northern Ecuador had a letter they wished be delivered to the Board of Directors of the company. They had “concerns,” she noted, about the company’s activities in their territory. The woman reluctantly agreed that she would circulate it to the Board of Directors. 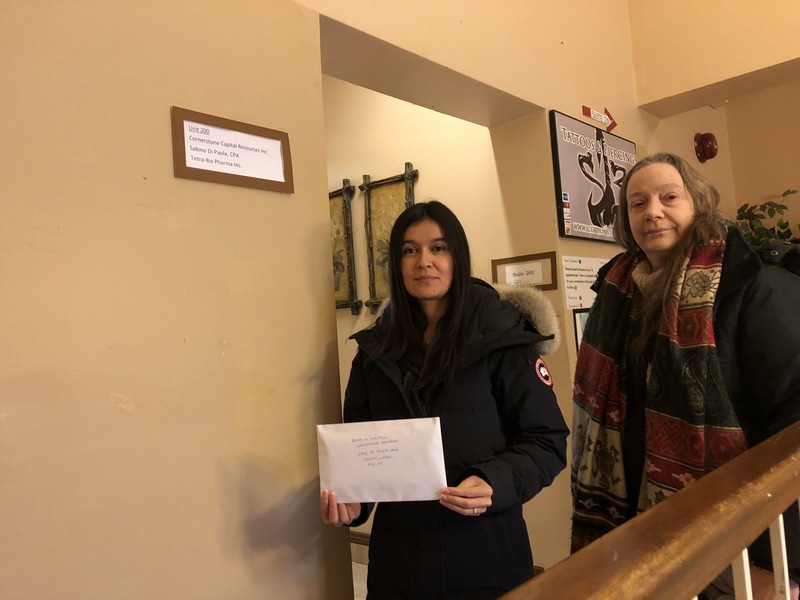 On November 26th, 2018, MiningWatch Canada received an email from community members requesting that MiningWatch assist them in translating and delivering a letter to the corporate offices of a Canadian company, Cornerstone Resources, in the Ottawa suburb of Orleans. The local people [of Cuellaje], in their overwhelming majority, do not wish for metal mining. We are already prosperous with our agricultural production and our families are healthy and happy. 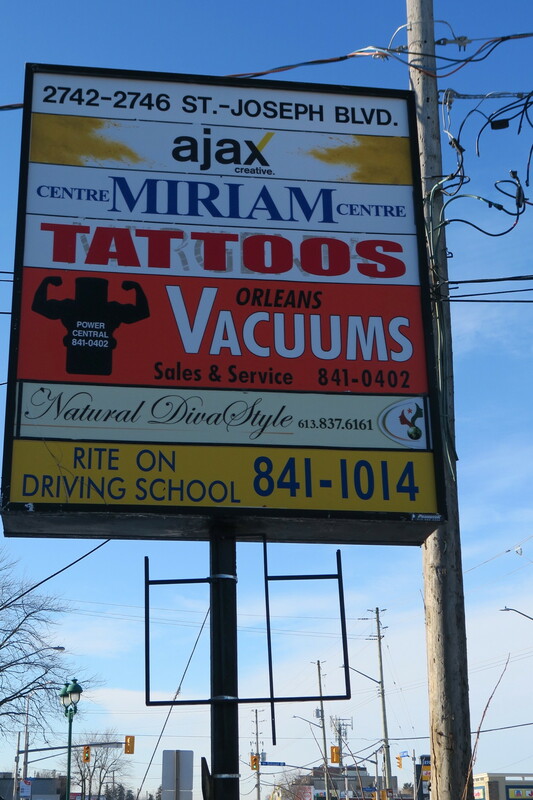 There is little or no poverty or unemployment in our parish. We know that a large metallic mine here would cause severe and long-term pollution, destruction, illness and death. There is nothing to debate on this subject; the geotechnical and environmental problems are quite clearly prohibitive here in Intag. The communities identify the risks associated with an investment of this kind, and note their concerns for the flora and fauna, water, climate, terrain, and even seismic activity which would make this investment not economically viable for the company – and completely devastating to their livelihoods. The letter sends a strong message of unity and consensus. It was signed by the presidents of all 8 communities within the Parish of Cuellaje, as well as the President and Vice President of the parish council. The text notes that the parish council had two votes in 2018 about permitting metal mining in their community, and both times the vote was nearly unanimous in opposition to mining activities. They also reject any notion that the company might have that local opposition does not matter, and note a dedication to defending their territory and livelihoods. Cornerstone Capital resources is a Canadian-based mining exploration company with several exploration properties in Ecuador. Some of those properties are under joint venture agreements between Cornerstone’s Ecuadoran subsidiaries and the Ecuadoran state mining company, ENAMI, and others, with the Australian-based junior mining company, SolGold (also listed on the TSX as SOLG).